After agreeing to suspend its service in Portland, OR last December, Uber could be back on the road in the city by April 15 if officials approve a proposed pilot program. Upon Uber’s arrival in Portland on Dec. 5, 2014, the company and city officials clashed over whether or not the service was legal. The two sides agreed to a suspension while they worked out a plan for the future of the ride-hailing app. 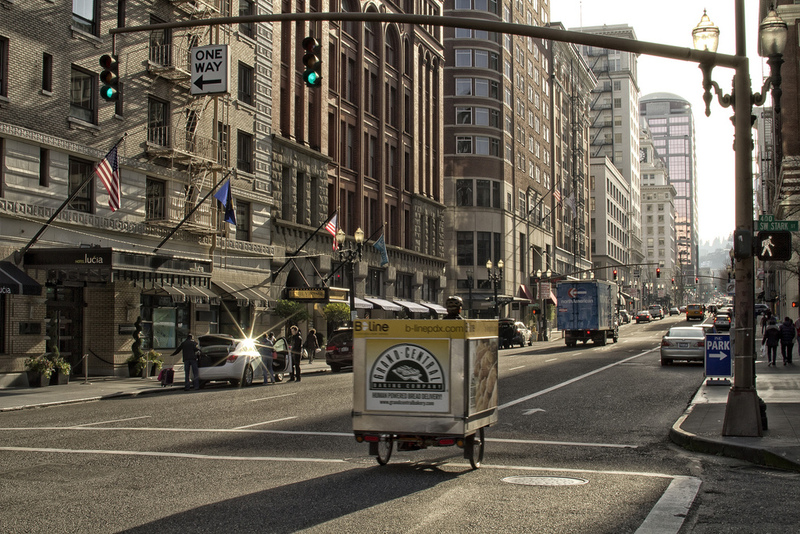 In just a few weeks, the city council will consider the pilot program at an April 15 meeting, reports KGW News, on recommendations from a task force that looked at the city’s rules regarding private for-hire transportation. Before that hearing, officials will hear from the task force on April 9 to discuss rules for the pilot program, which include recommendations like driver background checks, vehicle inspections, insurance, access for people with disabilities, data collection, and fares. If Portland Transportation Director Leah Trent and the city council give the program the go-ahead, it’ll last 120 days and will grant permits to Uber and its rival, Lyft. Once that’s complete, the city may make permanence changes to its laws that would make ride-hailing and ride-sharing services legal in Portland.